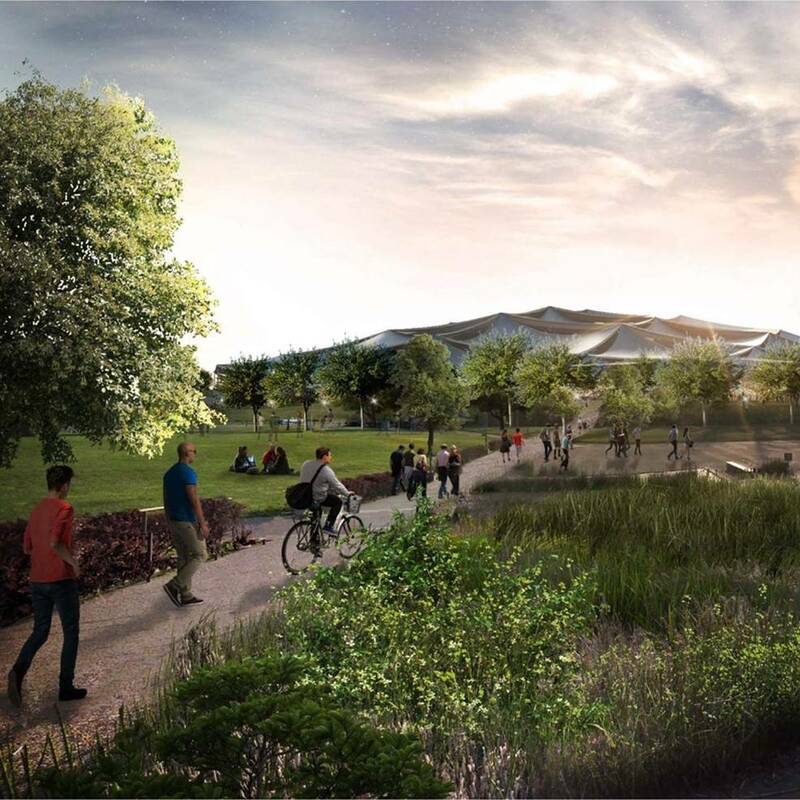 Google has revealed the latest designs for its new Mountain View office campus, designed by Bjarke Ingels Group and Heatherwick Studio, the partnership that is also collaborating on Google’s new London offices. This is the third iteration of the designs which will now be presented at a public hearing pending approval by Mountain View City Council. The designs of the purpose built office complex and campus maintain the tent like structures from previous ideas as well as a heavily landscaped environment. The public spaces, pavilions, cafes, research labs, event spaces will be at ground level with offices on a mezzanine level. The new design for the roof incorporates curved metal shapes in grey which will discourage birds from flying into the structure. The roof also includes photovoltaic panels along with ’clerestories’ which will allow natural light to enter the interior. The inside of the main building will be laid out to mimic the organic feel of a cityscape to create quiet spaces and allow people to move intuitively around its interior. The campus is smaller than previous version after city councillors in Mountain View allocated LinkedIn the majority of the land Google had earmarked for its campus.